The Japanese automotive brand, Isuzu, have developed an international reputation for manufacturing vehicles known for their reliability, dependability, and fuel efficiency. A top name in commercial vehicle production and well-known for their midsize trucks and diesel engines, Isuzu has become a leader in the sport utility market. As an Isuzu owner, you understand the value of a quality vehicle that works as hard as you do. You also understand that your Isuzu needs quality service to keep your vehicle at its peak performance. 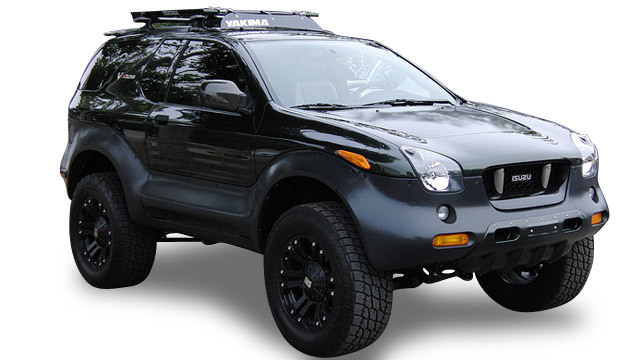 Whether you drive a luxury Ascender, a crossover Axiom, the ever-popular Rodeo, or anything in between, Importsports Auto Repair Pros’ expert technicians are qualified to meet the service and repair needs of you and your Isuzu. Don’t settle for anything less than the best service of Isuzu vehicles available in the Denver area. Importsports Auto Repair Pros doesn’t just focus on the engine. We strive to offer the highest quality care for all aspects of a customer’s experience. Our shop is committed to superior care for both Isuzu vehicles and their owners. We are happy to answer any of your questions. Whether you need routine maintenance or repairs for major damage, our team of certified technicians provides first-class service. Give your custom vehicle the custom service it deserves—Call us on (303) 752-2422 to speak with our knowledgeable staff, visit us at 7667 East Iliff Ave. Unit I, Denver CO or make an appointment with us online if you have any questions and to schedule an appointment for your next service or repair!